OTTAWA—Conservative Leader Stephen Harper says his party still remains staunchly opposed to relaxing marijuana laws, despite federal polling indicating a majority of Canadians would support the move. Speaking at an election campaign event in Markham on Tuesday, Harper said both his party and a majority of Canadians oppose the “full legalization” of marijuana. “When you go down that route, marijuana becomes more readily available to children, more people become addicted to it and the health outcomes become worse,” Harper told reporters. 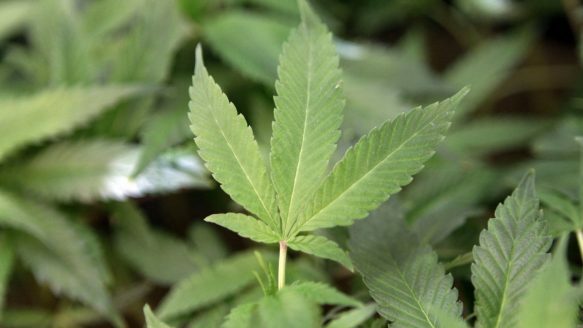 While most Canadians don’t support “full legalization,” an overwhelming majority do support the loosening of marijuana laws, according to the federal government’s own polling. In fact, only a small minority of Canadians support the Conservatives’ pot policy. Of 3,000 Canadians polled last year, a full 70.7 per cent said the government should either legalize marijuana (37.3 per cent) or decriminalize the possession of a small amount of pot (33.4 per cent). 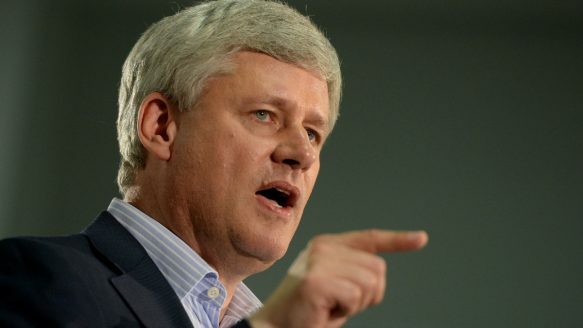 Conservative Leader Stephen Harper has spelled out why he opposes making marijuana legal. Only 13.7 per cent said they support the status quo — essentially what the Conservatives are proposing — while 12 per cent said they believe Ottawa should impose harsher penalties. The poll was conducted in early 2014 by Ipsos-Reid for the Privy Council Office, the bureaucratic wing that supports the prime minister. In a series of focus groups, the pollsters found Canadians’ current understanding of marijuana laws is somewhat hazy. “There was a great deal of confusion about whether the possession of small amounts of marijuana is a crime, a ticketable offence or completely legal,” the report stated. But the Conservatives clearly believe pot is a political winner for them. Harper, as well as former health minister Rona Ambrose, rarely miss an opportunity to point out that the Liberals under Justin Trudeau support legalization. In the year leading up to the election, the Conservative government spent more than $5 million in public money on advertisements warning about the negative health effects of smoking marijuana. On Tuesday, Harper claimed that Trudeau’s position would necessarily mean marijuana would be sold in stores like alcohol or tobacco. Harper said a re-elected Conservative government would boost resources to enforce existing drug laws. The proposal would include a new telephone helpline to assist parents with concerns about their children’s drug use, a renewed 10-year mandate for the Mental Health Commission of Canada, together with a new focus to examine links between substance abuse and mental health. Harper also promised more funding for the RCMP teams that target the production of illegal drugs. The party has long championed an enforcement-focused strategy to curb drug use. That includes opposing safe injection sites and refusing to relax marijuana laws. Stephen Harper says if his party is re-elected, they would increase enforcement funding to the RCMP, create a telephone hotline for concerned parents, and a new mandate for the Mental Health Commission of Canada to look at connections between substance abuse and mental health. The New Democrats under Thomas Mulcair are nominally for decriminalization, albeit with the caveat that more study is required before any law is changed. However, the party says nobody should go to jail for possession of a small amount while that study happens. The party’s grassroots has previously pushed for full legalization, but heading into the October election the official policy is still decriminalization. Liberal Leader Justin Trudeau, the only party leader to have publicly admitted to having smoked marijuana on one occasion, is for full legalization. What a legalized system would look like, however, is not yet clear. The party said Tuesday that taxing and strictly regulating the production and sale of marijuana would take organized crime out of the pot business, while better protecting Canadian children. The Green Party supports the legalization of marijuana and an end to the “war on drugs.” The Greens’ platform envisions a system of strict regulation, small and independent growers, and taxing marijuana like tobacco. The Greens’ also propose increased public awareness about the dangers of drugs, including tobacco, decriminalizing other illicit drugs due to the cost of law enforcement, and increased funding for safe injection sites.